The tightness of the NBL was again on show in Round 14 with the top three teams all dropping a game, the bottom-placed team scoring a win and those in between beginning to sort themselves out in the fight for fourth. It’s the tightest NBL season on record and that’s highlighted by the fact that even though the Cairns Taipans are sitting last at 4-17, they are a considerably more dangerous team than that suggests and have beaten playoff contenders Perth, Brisbane and New Zealand the last three weeks. 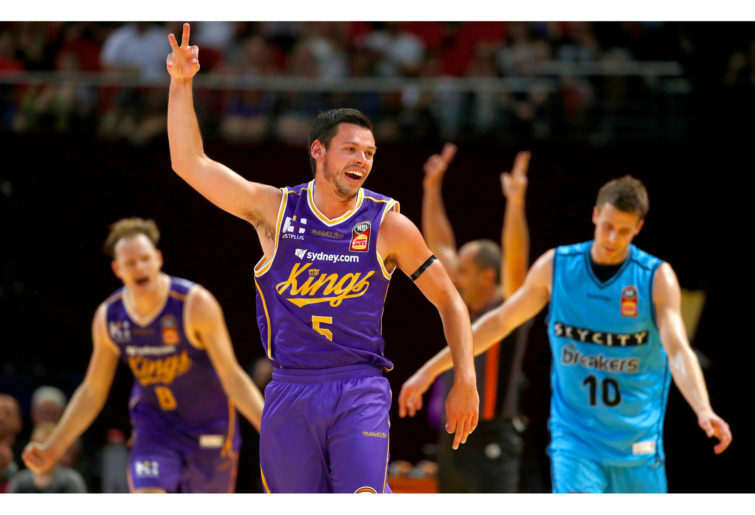 Then you have the Sydney Kings (13-8) and Melbourne United (12-8) who remain in the top two positions but they suffered losses in Round 14 against Adelaide and Perth respectively. The Wildcats’ tough run since winning ten of their first 11 games continued with a loss in Adelaide on Thursday, but they bounced back with an important win at home over Melbourne on Sunday to steady with a 13-9 record to be back in the hunt for the top two. The Brisbane Bullets (12-9) had a 31-point hammering of Cairns to stay fourth but the Adelaide 36ers (12-10) are hot on their hammer coming off two Round 14 wins against Perth and Sydney by a combined 33 points. 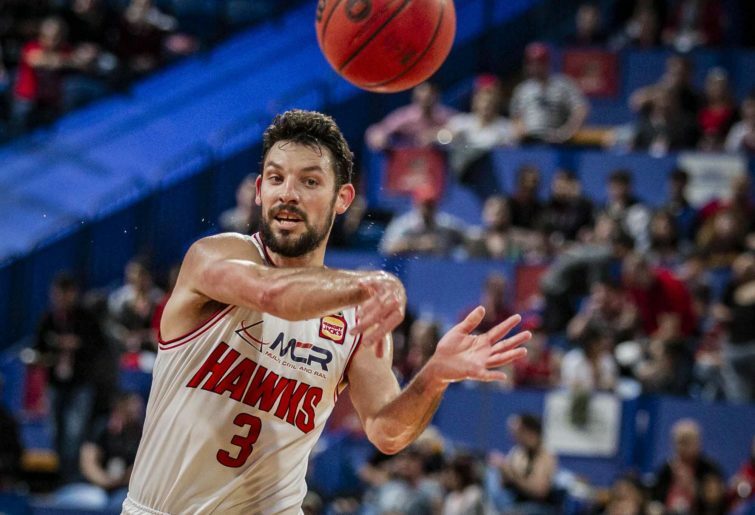 While it appears a battle in two for that final playoff spot between Brisbane and Adelaide, the Illawarra Hawks (10-11) can’t be discounted following Friday’s win against New Zealand and ahead of their clash with Melbourne on Wednesday night. The New Zealand Breakers (8-12) had a dismal round losing on the road to both Illawarra and Cairns and it looks a forlorn hope now for them to reach the playoffs from here with eight games and four rounds remaining. With four weeks of the regular season remaining, it appears 15 games will be needed to reach the playoffs and 16 will guarantee it. There have been times in previous seasons where 14, 13 or even 12 have got you into the finals, but that won’t be the case in 2018-19. While nothing is guaranteed, it’s tough not to see Sydney, Melbourne and Perth now winning enough of their remaining games to make it. Any of the three could only win one or two of their remaining games and miss out, but that would be a surprise. It does look like either Brisbane or Adelaide are going to claim that last spot with both in the fascinating scenario where if they reach the playoffs they could very well end up winning a championship. But they could also miss out on the post-season altogether. The Hawks remain dangerous but they do need to find consistency over their last seven games to make it, needing to win at least five and possibly six of them. While the Breakers just can’t afford another slip-up and can probably only lose one of their final eight games to make it and so far they haven’t shown the consistency to do it. The Kings might have lost their past two matches but they remain on top of the table and they have now pulled the rein to add size and rebounding to their frontcourt in the form of Ray Turner. It looks a savvy decision but the group now needs to come together starting this weekend with tough games away to Brisbane and home to Perth. Coach Andrew Gaze wants his players to look in the mirror to turn things back around after the two losses even though they remain on top of the ladder. “We have to look internally and work out if each of us are competing at an intensity level individually that would allow us to compete for a title. It’s look in the mirror time sometimes and the other thing in these types of situations is how you can help your teammate,” Gaze said. Melbourne remains second despite Sunday’s loss in Perth and only just having escaped a horror loss to Cairns, winning in overtime seven days earlier as part of three-game road run. 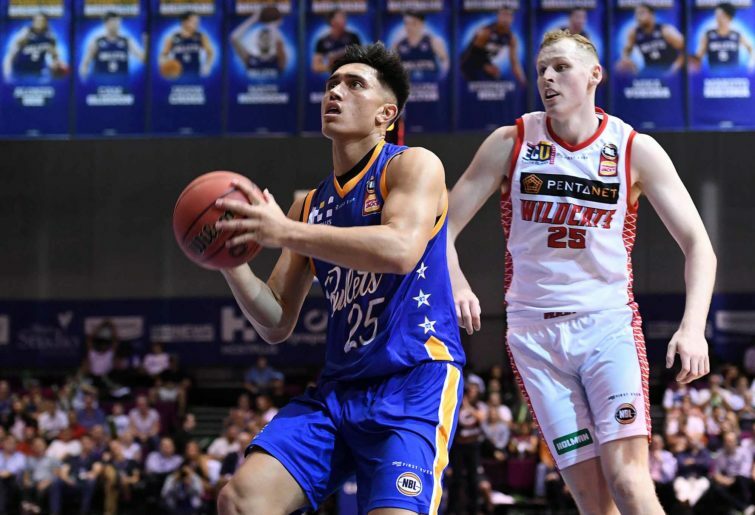 They host Illawarra on Wednesday night needing a win to stay second but there were better signs in Perth with Josh Boone back to some of the form he showed in their championship run last season. With Casper Ware, David Barlow and Mitch McCarron firing it’s a strong Melbourne outfit, but coach Dean Vickerman knows they need to start clicking. “We’ve got a real tough one on Wednesday and Illawarra are playing some of the best basketball in the comp right now, them and Adelaide and we have both of those coming up,” Vickerman said. Before Sunday’s win over Melbourne, the pressure was on Perth who had lost seven of eight games to be in real danger of missing a 33rd straight playoff appearance. They still aren’t guaranteed anything, but it was an encouraging performance and they remain dangerous, especially with Bryce Cotton and Nick Kay in the dominant form in their positions that they are in. Coach Trevor Gleeson liked the lift in energy and intensity against Melbourne on Sunday to get back to winning. “You have to have that grit to keep on going through and we were in a pretty good rhythm throughout that game,” Gleeson said. “They kept it to one or two possessions for most of the game, but it felt like we were heading in the right direction and that was a big turn just in terms of the intensity level and what you need to do to win games against quality opposition. The Bullets are the form team of the competition having won three straight following a 31-point hammering of Cairns but they still have plenty of work to do to guarantee a playoff appearance. They are home to the Kings on Friday before travelling to New Zealand on Sunday and those two games will decide if they are in the top four or not with three rounds to go. But with Lamar Patterson proving he is MVP calibre and then Cam Gliddon, Jason Cadee, Cam Bairstow, Matt Hodgson, Adam Gibson, Mika Vukona, AJ Davis, Reuben Te Rangi and Jeremy Kendle providing great depth, it’s a championship-calibre line-up. Bullets point guard Jason Cadee is looking forward to the challenge ahead against the Kings on Friday night knowing they have three games in their last seven against his former team as they try to lock in a playoff spot. “You have to beat everyone at the end of the day, it doesn’t matter who you play. They’re the only team we haven’t beaten yet and we’ve got a big three-game stretch against them,” Cadee said. The Sixers are coming off winning the regular season championship two years ago and pushing Melbourne to five games in the Grand Final last year. They are now finding some ominous form too winning two straight over the Wildcats and Kings, and beyond that seven of their last nine. That’s with Demitrius Conger now finding his feet and Nathan Sobey, Daniel Johnson, Harry Froling, Majok Deng, Anthony Drmic and Jacob Wiley performing well. Like Brisbane, they look a team that could win a title but equally could miss the playoffs with coach Joey Wright feeling good that they are now finding their identity. “What is giving me confidence is that we’re starting to see our identity,” Wright said. “When a coach sees their team and what they’re good at, and also what they’re bad at, then you can pull stuff away and put stuff in. Hawks coach Rob Beveridge always thrives with his back to the wall and while the consistency of his team has been frustrating this season, he will continue to back them in to be a playoff threat until it’s not mathematically possible. “I look back on the last four games and they are as good as we’ve played. I know we lost to Adelaide when they come over us at the end, but I felt like we were the better team and just screwed up rather than were beaten,” Beveridge said. “We could have won four-in-a-row but obviously we had a great win on the road last week against Sydney and now we’ve beaten New Zealand. Now it gives us confidence going into playing Melbourne and Cairns. Breakers coach Kevin Braswell was a frustrated man following Sunday’s loss in Cairns knowing the challenge that’s now ahead of them to reach the playoffs. “It’s not our offence,” Braswell said. “It’s our defence and this was the third game where we’ve given up 100 points or more. We gave up 100 to Sydney, 107 to Illawarra and now 106 to Cairns.